Long story short. 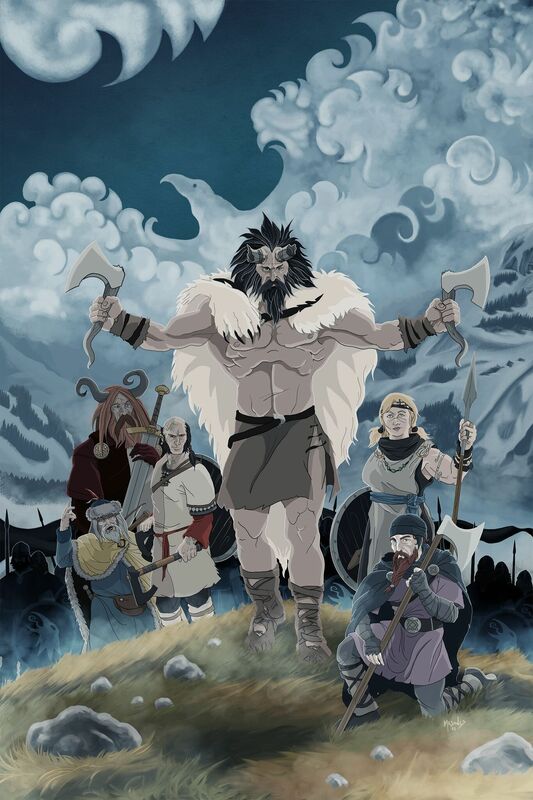 I entered a contest for The Banner Saga, they were to choose the best 5 fanart and I came 6th. Among the winners ranked some pros, including an artist that works for Ubisoft. The first 2 places were head and shoulders above the rest, though all-in-all, very good pieces by the fans out there. So, not so bad for a part-timer! Still, I’m annoyed with myself, I could have done better, I should have done better. I can visualise so many ways I could have treated this piece to step it up, it is not even funny. Never mind that, I need to keep putting hours on the canvas and improve. I started this illustration traditionally, pencil on paper. Once I finished the art line, I scanned the drawing and inked it digitally using Clip Studio. I love how that software handles the lines. After that, I switched to Photoshop and did all the painting there. This is the first artwork I’ve created on a tablet monitor, I bought a Huion Kamvas GT-191 I found on offer, and I’m loving it. …While most artists chose one character or object, Mesones proved quite ambitious with a display of the Ravens as a whole. The core four from Banner Saga 2 are present, alongside latecomers Oli and Dytch. The detailing is superb, from Oli’s tattoos to Folka’s brooch to the Raven insignia on the shields. There’s a fine difference between being the best and being the most awesome. And although Bolverk and Gang is not the former, it could very well be the latter.